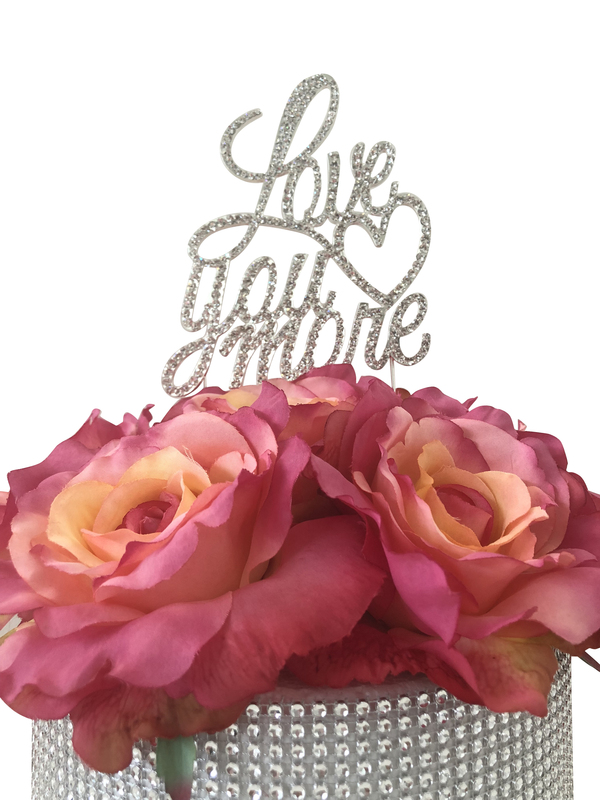 ABSOLUTELY STUNNING CZECH RHINESTONE CAKE TOPPER: Made from silvertone metal alloy these cake toppers are very sturdy and heavy. 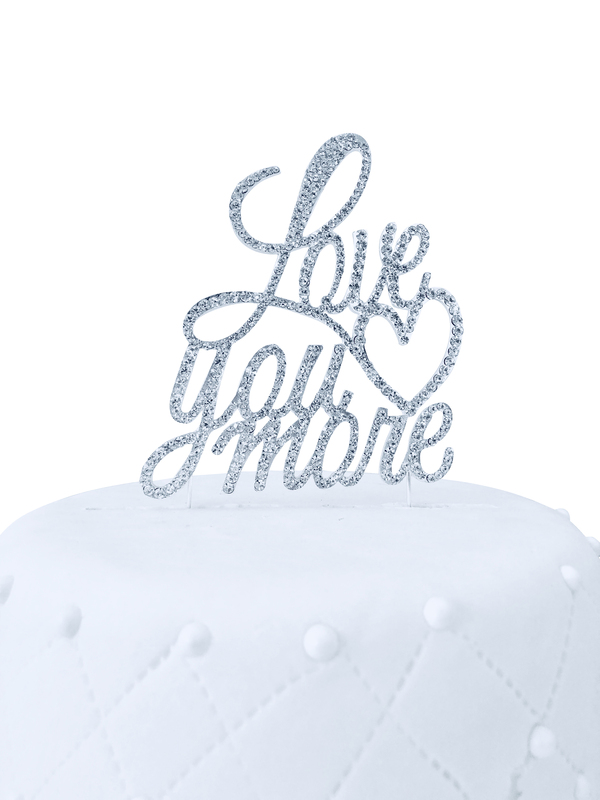 ENDLESS SPARKLE: Encrusted in glittering Czech rhinestones, this exquisite cake topper will accent any cake beautifully with their elegant cursive style PERFECT SIZE: Not too small, not too big, just PERFECT. The cake topper measures about 4.5&#34; wide by 5&#34; long plus the prongs are additional 4.5&#34;. KEEPSAKE: Keep as a keepsake for years to come. The prongs can be easily removed after the event. SAFE PACKAGING: All our cake toppers are shipped in boxes to prevent damage during the transit.